People could peer into the iMac G3 to see its internal workings. Do you know your Sage from your Grape? How about your Bondi Blue from your Graphite? And who in their right mind could forget Flower Power or Blue Dalmatian? “Crystal-clear plastics were born out of scientific research during World War II and were swiftly co-opted for creative applications in fashion, our homes, and technology. A car’s windshield is clear because we need to see through it to keep us safe as we drive. But a see-through telephone? That invites us to look inside an object and question how it works. If you’re in the Michigan area, we’d heartily recommend a visit to the Henry Ford Museum. 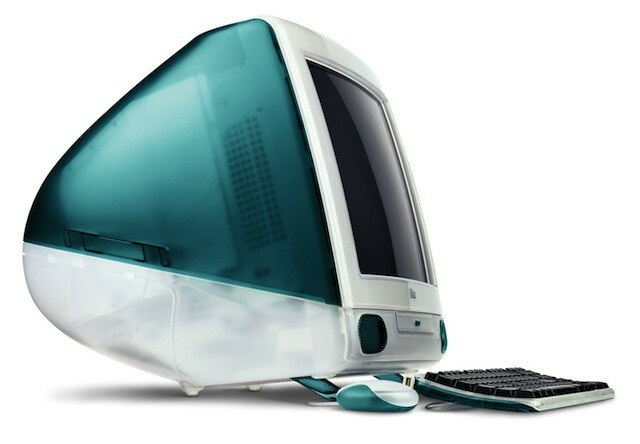 In addition to this temporary display of iMacs, the museum has one of the few existing Apple-1 computers, which it bought at auction for a record $905,000 in 2014.